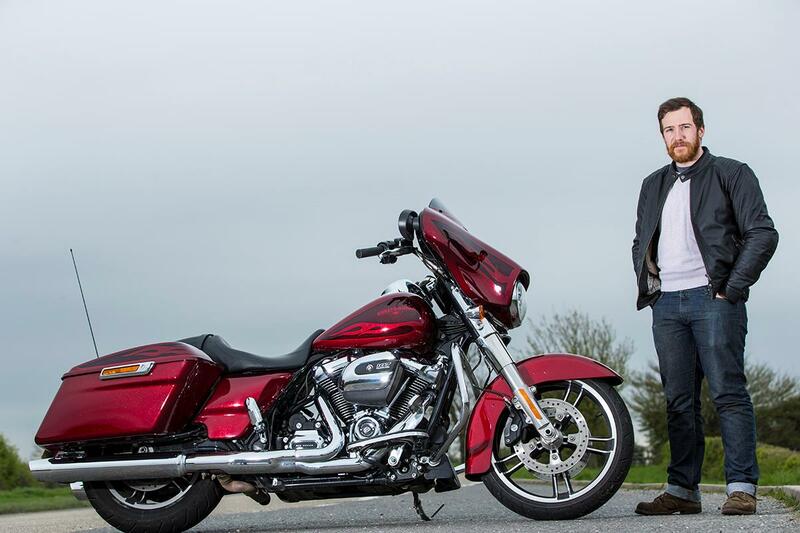 While I’ve been enjoying riding the Harley-Davidson Street Glide I’ve had on test, I’d not really gelled with it. I’ve clocked up well over 5,000 miles on it now but most of that has been commuting, or riding to places to interview people but over the course of a long sunny weekend in June it all came together. I spent almost the whole of one Saturday riding the bike to and from places picking things up in the panniers, and then dropping them off somewhere else. It might sound banal but it was only then it dawned on me how easy the bike becomes an essential part of your life thanks to the panniers and in-built sat nav. The big moment came on the Sunday when, for the first time, I just went for a ride for the sake of it. I scraped footboards while the sun blazed and the stereo blared. It was simply fantastic. Now don’t get me wrong, this isn’t a taught sportsbike. When you really start to push on, the suspension begins to wallow as it tries to control the 450kg of bike and rider above it. It also begins to complain if there are any mid-corner bumps but considering what it’s carrying it’s a good ride. Sure, I probably could have gone faster on a smaller, lighter bike but would I have had more fun? I doubt it. Monday I sailed home from the MCN office with the cruise control doing its thing while old school rhythm and blues sang out of the stereo. Perfect. 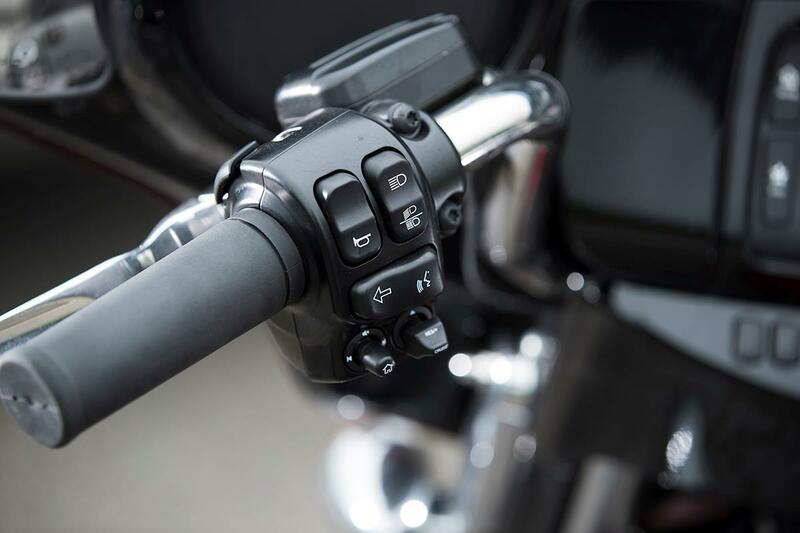 One of the things that has impressed me the most is the throttle control on the Street Glide. The big Harleys have run fly-by-wire for a while but paired with the Milwaukee-Eight engine it’s excellent. You can comfortably roll around town in first gear without any jerkiness or choppines. It’s smooth on acceleration and while it does slow quite abruptly on a closed throttle, that’s more than engine braking power of the staggering v-twin than any problem with the fuelling. That’s not say things can’t be improved, so I’ve got a set of Screamin’ Eagle pipes on the way along with a Heavy Breather air cleaner. These, combined with the Street Tuner fuel module, should not only help liven things up a little but it should help get rid of the lean fuelling factory Harleys are famous for (I hasten to add this is the unfortunate price for getting an air-cooled engine through current emissions regulations). Once all that’s fitted, I’ll get it on the dyno and see what it does. 1. 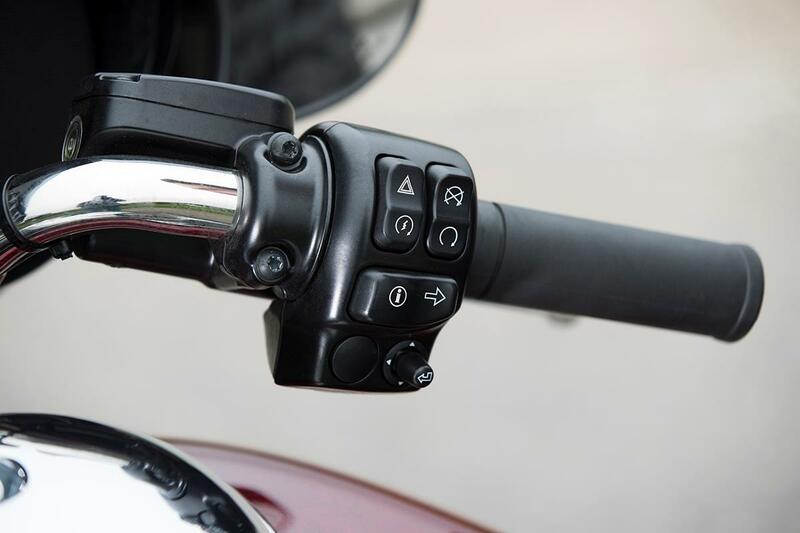 The cruise control on the left handlebar is easy to use and great for long stretches of motorway. If I had one complaint, the button is small and it’s easy to accidentally bump it when you’re wearing thicker gloves. 2. 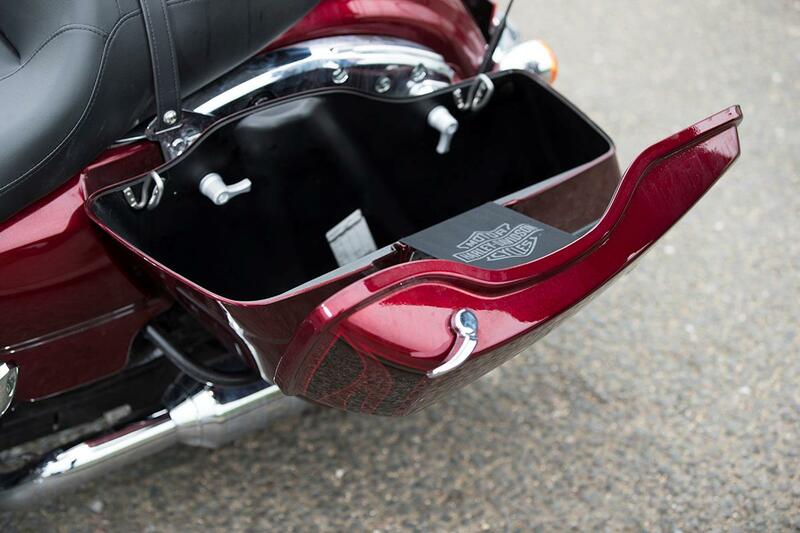 While the panniers aren’t the right shape to take a helmet, you can fill them full of plenty of other stuff. Watch it if you stuff it with the weekly shop though as those exhausts do heat the insides up quite quickly. 3. 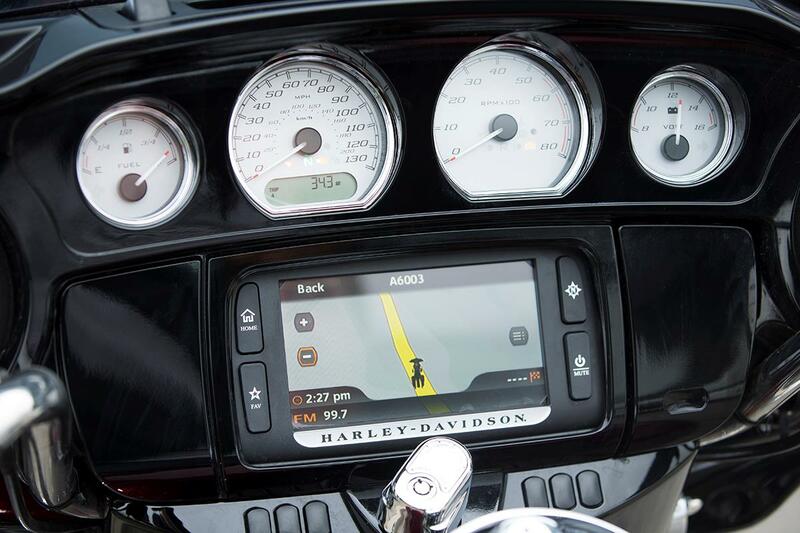 For an in-built sat nav system it’s great. It’s quick, easy to use and you can do little tasks while riding such as search for a nearby petrol station. The screen is easy to read and provides loads of info while going along. For the thrill seekers, there’s a ‘twisty road’ option in the routing.